Every February, consumers are typically inundated with hearts whether it’s about Valentine’s Day or American Heart Month. It’s the time of year when we tell the special people in our lives how much we love them, as well as learn about heart attacks and heart disease. With articles informing women that heart disease is the number one killer of their gender and nicknamed the “silent killer”, it can get heavy. But there are ways to keep it lighthearted with your campaigns and messaging while taking important steps in educating the community. 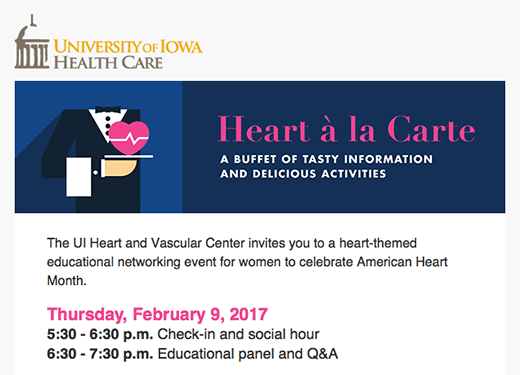 For example, the University of Iowa Health Care is hosting a “Heart à la Carte” educational event for women to celebrate American Heart Month. The free event includes heart-healthy appetizers, red wine, dark chocolate, as well as a photo booth and chair massages. It’s a great alternative for women to take in important messages in a fun and relaxed setting rather than simply reading an article on a computer screen. Marketing tactics that align with happenings in popular culture resonate with consumers and help support your campaign messaging. It will also give you an opportunity to make connections in a face-to-face setting. So it’s okay to step outside the metaphorical marketing box and create messaging and campaigns that are fit for a box of chocolates during American Heart Month. If you want to discuss more about putting the light in lighthearted in your campaign, give LionShare a call at 1-800-928-0712. As an Account Coordinator on the Client Services team, Rachel strives to exceed internal and external client expectations. With extensive organizational skills and years of experience in fast-paced environments, Rachel knows how to get stuff done. Rachel is a motivated millennial making her place in the world of Marketing. 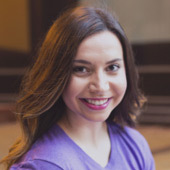 With a passion for social media and informing others, Rachel also contributes to the Social Media team at LionShare. Her writing can also be seen on other blogs and both online and print publications. She earned her Bachelors of Science degree in Communication with an emphasis in Public Relations from Emporia State University.